Pediatric Community and School Based Occupational, Speech and Physical Therapy Services. Our occupational, speech and physical therapists are members of the educational team, the therapists provide on-going training for school staff, administration and families so that the student’s needs are also being supported daily across all environments. District wide, school specific and classroom in-services on sensory processing, fine motor development, positioning, use of adaptive equipment and transfer techniques are provided to promote awareness and enhance functional independence for our students. Our integrated services in community dance, recreation and sporting activities allow students to participate in their neighborhood programs with their friends.Our occupational and physical therapists work on building the skills the child needs to successfully participate in meaningful leisure activities. This is provided through direct services with the child in the community setting, consultation services and training with the lead adults, peer modeling support, and leisure coaching. Our therapy team is committed to excellence by providing comprehensive assessments, innovative treatments, collaboration with all educational team members and consultation with families. Our Families LOVE every one of our Sendero Pediatric therapists for their enthusiasm, professionalism, and dedication. Each occupational, speech or physical therapist in a public, private, or charter school is chosen to meet the needs of that school system. Celebrating 20 years, Sendero Therapies, Inc. is a family owned and operated pediatric practice that employs a multidisciplinary staff of highly skilled and competent occupational therapists (OT’s), certified occupational therapy assistants (COTA’s), speech-language pathologists (SLP), physical therapists (PT’s) and physical therapy assistants (PTA’s). Our occupational, speech-language pathologists and physical therapy practitioners specialize in the evaluation, treatment and management of children, including preschool, youth, adolescents and young adults, with a variety of developmental, sensory, motor, neuromuscular, educational and psychosocial disorders, who may experience functional performance limitations. Sendero’s expert therapists can be found working in schools, homes and communities throughout the Northeast Ohio. We provide direct service as well as consultation with families and educators to serve children with special needs across multiple settings. School And Community Based Services. Sendero Therapies, Inc has been providing school and community based occupational therapy services since 2001 in Northeast Ohio. 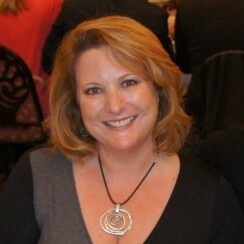 Rebecca Mohler, MS, OTR/L is founder and president of Sendero Therapies, Inc. The Therapists working at Sendero are specifically trained in promoting functional independence in peer friendship development, self regulation, self care, leisure and recreational skills and access to educational learning in the classroom through development of fine motor, visual motor, visual perception, social skill, cognitive, behavioral and sensory integration for students with Autism. Settle Your Glitter App Made By: Momentous Institute About the App Settle Your Glitter is a an app featuring a. Every Moment Counts is a mental health promotion initiative developed to help all children and youth become mentally healthy in. Now that the holidays are over, children may need a few reminders on how to interact in a positive way. Our School Based Therapists: Our therapy team is committed to. Meet the President/Owner: Rebecca Mohler, MS, OTR/L President of Sendero. OT Occupational Therapy Occupational therapy is a service that helps. About Our School and Community-Based Therapy Company Sendero Therapies, Inc..